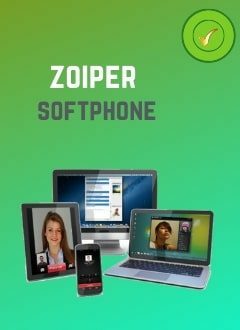 Pack of 50 phone numbers from France to receive and make calls. You can resell these phone numbers (SDA) from France to your customers. This package includes 50 numbers from France (+339), to receive and make calls as if you were physically in France. Get 50 virtual numbers from France for your business or for resale to your customers. With this pack of virtual numbers (DID numbers) from France you, your collators or customers, can receive calls on a smartphone, computer, ip phone, sip adapter, IP PBX… You can also use the "follow me" function to send calls from the France number to another landline or mobile number. Receive 1 call at a time per number. Configuration of referrals according to schedules. Support for G729, G711u and G711a audio codecs. Interface to manage your phone line. 1- Copy of your CNI or Passport + a copy of your business register. To unsubscribe, just send us an email and request the removal of the service. Note that your request must be made before the billing date and you must not have unpaid invoices. Since these are virtual services and for obvious reasons, no refund is possible. Under no circumstances will the money paid for this service be refunded. Hivoox will make no exception to this rule.